Atlanta / Indiana — The board of the Greenleaf Center for Servant Leadership announced today the selection of Patricia (Pat) Falotico as the CEO. 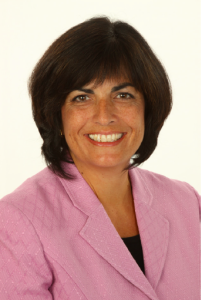 Falotico recently retired from IBM where she led sales, marketing, business development and operations teams at the local, national and global levels over 31 years. As IBM’s Senior Executive for Georgia, Falotico rallied IBM’s local employees, represented IBM’s interest in the business and governmental arenas and brought IBM resources to support the nonprofit community. A true advocate for others, Falotico served on the boards of the United Way of Greater Atlanta, the Metro Atlanta Chamber, Communities in Schools of Georgia, Leadership Atlanta, Girls Incorporated and the Ron Clark Academy. She chaired the United Way’s workplace campaign in 2013 and continues as an active member of the Metro Atlanta Regional Education Partnership and the United Way’s Women of Tocqueville. Pat is a member of the seventh Education Policy Fellowship Program presented by the Georgia Partnership for Education Excellence. Falotico is excited to join the Greenleaf Center and expressed that, “the role allows me to work at the intersection of my experience and my passion for developing leaders while continuing to serve society. The Greenleaf Center Search Committee worked with Sterling Martin Associates, a national retained executive search firm, focusing on finding talented leadership for nonprofit organizations. Over the four-month search, the team reviewed nearly 250 resumes and interviewed over 30 candidates before presenting the Committee with a slate of 13. Following two rounds of interviews with the Search Committee, Falotico was selected for recommendation to the Greenleaf Center Board of Trustees. Ms. Falotico will continue to reside in the Atlanta area working from the Greenleaf Center’s office in the Foundation Center at the Georgia Pacific building. The Greenleaf Center opened its Atlanta office earlier this year to increase its programmatic reach and expand operational capacity. The Center maintains a strong presence in and commitment to its work in the greater Indianapolis area. The Robert K. Greenleaf Center for Servant Leadership is faithfully executing on its mission to advance the awareness, understanding and practice of servant leadership by individuals and organizations. Robert K. Greenleaf founded the nonprofit Greenleaf Center (first called “The Center for Applied Ethics”) in 1964. Not long after, Greenleaf published The Servant as Leader, a landmark essay in which he coined the phrase “servant-leader” and launched the modern servant leadership movement.